Every summer, Stavanger is inundated with tourists from all over the globe. The upturn in tourism over the last few years has been driven by boatload after boatload of tourists who have arrived in town via cruise ship. 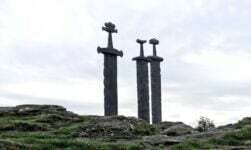 Here are my top 5 things to see and do if you arrive in Stavanger on a Viking Homelands cruise or otherwise happen to have only one day to roam the city. 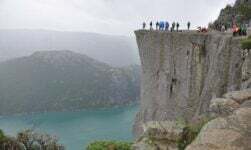 Pulpit Rock, also known locally as Preikestolen, is actually located just outside of Stavanger. 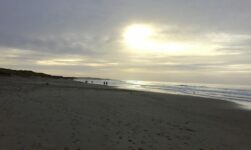 It must be accessed by cruise boat and seen from below or by ferry and a short drive to be hiked to on foot. This must-see natural attraction is in fact a cliff that rises 604 meters (1982 feet) above sea level. The hiking trip up to Pulpit Rock has been under improvement the last year, in order to make it wider to accommodate the number of visitors who hike Pulpit Rock each year. Cruise boats to get to Pulpit Rock can be found along the harbor as are ferries which will get you to Tau, from which one can take a bus to continue the journey to the start of the trail. 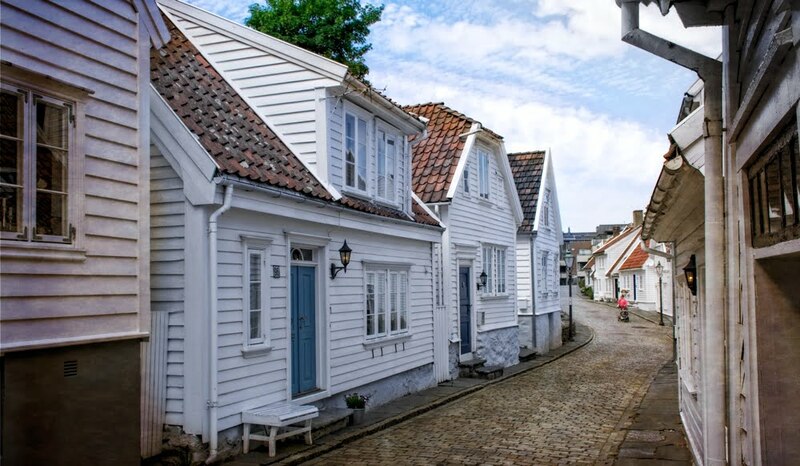 Stavanger’s Old Town is s the largest surviving wooden house settlement in northern Europe. 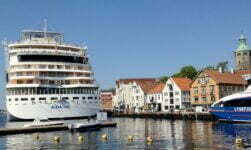 It is located between the cruise ship landing and the new Stavanger Concert House, providing a prime location for strolling through to admire the old seaman’s houses. The Old Town also offers an opportunity to pop into the storefronts of the various artisans who live in this beloved part of Stavanger. Many of the houses in Old Town Stavanger are over 150 years old (some over 300 years old) and most have been expertly maintained. The Canning Museum is located in the Old Town, and offers a glimpse into what life was like in Stavanger before the energy business changed the city’s economic prosperity and status in Norway. This is a great place to see some of the old tools used by the hard working people who filled Stavanger’s many fisheries over 100 years ago – and learn more about the fishing industry. While this is always a great place to buy souvenirs (including – you guessed it – canned sardines and other seafood), some Sundays also include smoking and canning demonstrations. 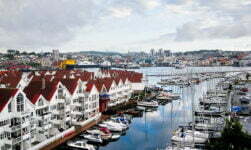 Stavanger is a prime location to enjoy a nice lunch or pick up a snack you won’t see back home. Some of the best chefs in the world come from this region of the country and many have left their mark on the gastronomic culture. Although it might be pricy by your local standards, a meal in Stavanger is usually worth the price – especially if you enjoy seafood, lamb or baked goods like cinnamon buns. If you arrive in Stavanger during late July, keep your eyes open for information about the 4 day local food festival, Gladmat (direct translation – the “Happy Food” festival). Gladmat is one of the largest food festivals in the Nordics, attracting over 250000 visitors every year and a great place to sample Norwegian cuisine. Home to the Stavanger Symphony Orchestra, the new Concert Hall was opened in 2012. Come here to enjoy waterfront views, lunch at one of Stavanger’s best estaurants and of course world-class performances by Norwegian and international artists. The Hall sits just next to Bjergsted Park, home to free summer concerts in July. Explore the fascinating rune stones and stories from the Viking times at the city's Museum of Archaeology. Exhibits include gold and silver objects found on nearby islands. Some of the coins are of Arabic origin and serve as proof of Viking expeditions to the East. Love your commentary. Thinking of coming to Stavanger in July but with the food festival not sure there will be room for me. Would be coming in on the 22nd. What do you think? I’m sorry but Whitney was/is too lazy to answer you. Thanks for adding to the sites click rate though. Do come back and post another question that Whitney can ignore.